Stepping into the new restaurant in St Francis Bay you might be forgiven for believing you are in Greece and not in sunny South Africa. The blue chequered tablecloths, blue curtains and clean white walls, the warm welcome from the Pitsiladis couple George and Lisa and the small cosy and intimate atmosphere of the taverna blend into a distinct Grecian air. But the real Olympian magic comes when one savours the authentic Greek recipes with everything cooked 100% the Greek way using imported Grecian oil and vine leaves. 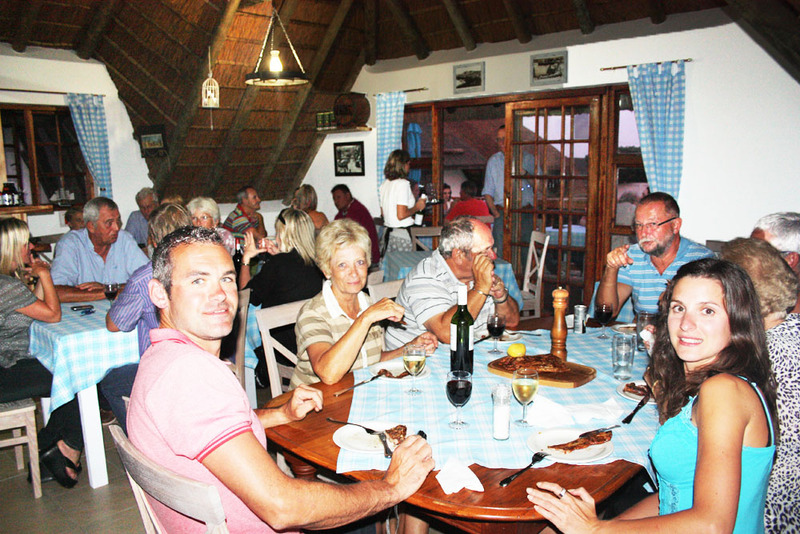 Even the food is cooked by the hosts themselves. 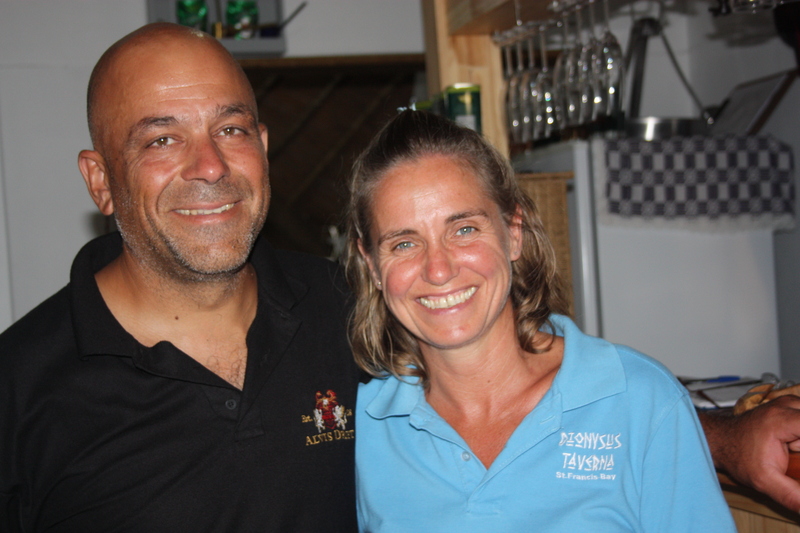 Above: George and Lisa owners of Dionysus, the new Greek restaurant in St Francis Bay.